You must make reservations at least 5 minutes in advance of the time at The Session Room. We feature local bands and musical performances weekly. Check out our Facebook page to see who will be playing this month! We will be celebrating craft beer & quality food using local vendors and products. Housed in a brand new conversion of a 6000+ sq ft brick machine shop on Jackson road, with 70 taps, a beer garden, and live music. Our previous experiences at Session Room were always wonderful, however the past 2 times the service has been extremely poor. It has talent the server a long time to come greet us at our table and take our drink orders. We have 2 small children, so the delay is quite frustrating. The menu has changed so certain options we have had in the past (I.e. pasta) for the kids are not an option. The menu is already quite limited when it comes to food options and when we have ordered pizza in the past they have taken an extremely long time to prepare. Our most recent experience the waitress was not very attentive, my husband’s request to not have olives on his nachos was not followed through on, my soup came out with my main entree and not prior, we asked for an additional pickle and it was not brought out and she did not check on how our meals were part way through. This used to be one of our favorite restaurants to come to with our kids, but the past 2 times have us rethinking our patronage. The service quality has fallen dramatically. I’m also very surprised at the fact that there is not an official children’s menu. There are not really any good food options for children under 5, but especially those under 2. I’m not sure if the wait staff is over worked or under staffed, but something needs to change. 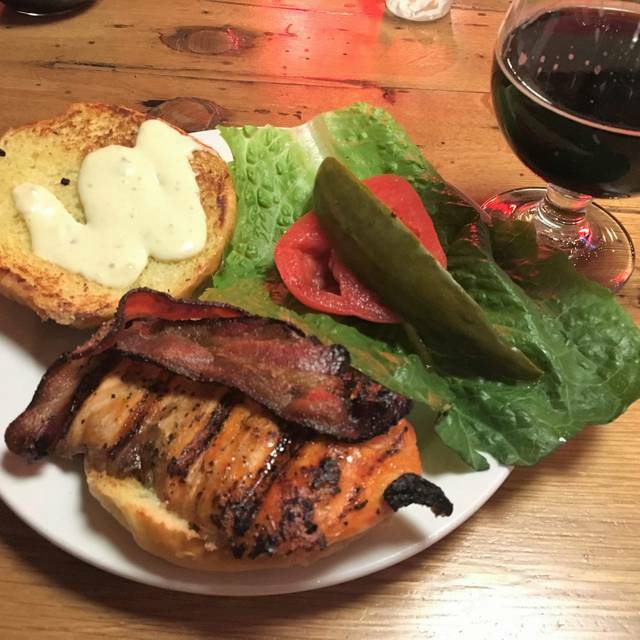 Food, beer, and service are excellent! This is a great place for a quick business lunch or to hang out with friends! We enjoyed the vibe and decor, as well as the great beer and cider list. However, the service was poor and the food was bland. Over priced for the quality and taste. Great experience, we had reservations for 12 and everyone left satisfied with the service, food and drink. Loved the beer selection and the food was great. We had pulled pork and turkey Reuben. We had a reservation and were seated by the kitchen. We asked to be moved. Nope. Other tables were reserved. We observed 3 to 5 open tables in the 1 1/2 hours we were there. Two out of 4 dinners were cooked correctly. A requested medium rare burger was well done and a requested well done salmon was raw in the middle. The waiter was inattentive. Our $80 bill was charged to our friends credit card while their $40 bill was put on our gift card. We had to flag down the waiter who had to get his manager to correct this. It is very noisy and difficult to carry on conversation. I did talk to the manager about all of this and she didn't seem concerned. We won't be going there again. We love this place! The ambiance is great. They dont have a lot of variety regarding food, but the beers are great! Love this place but gets noisy! I’m surprised they haven’t placed foam soundproofing in the ceilings. The Session Room has a great vibe and ambience. I feel very comfortable when dining there. The food and drinks are always top notch and the service is friendly. Definitely one of my favorite restaurants in the Ann Arbor area! The service was great and the food delicious, so was the beer! The noise level was awful. We could not have a conversaton nor hear each other over the music. Reserved high tops. They gave us low tables. Slow service, but food was good. Drinks were so slow we ended up walking up to the bar. We’ve been to Session Room several times as we like the ambience and the food. The problem has always been the service ! We order our beer and our food. The food comes and the beer stays sitting at the bar until we are almost done with our food! This always happens!The waiting staff is always nice but I am not sure if they are overworked or inefficient. This is a standing problem there and, because of this, we don’t go as often and we feel embarrassed to invite friends to go with us! Reservations are accepted, the food and beer was great! Service was great. Good good!! Their burgers and pizza are the best! Excellent beer selections and solidly good food. Consistent with a varied menu of burgers, salads, pizza and hearty entrees. Great for families or groups. Awesome beer selection, great customer service. Good for groups or to sit at the bar and talk about beer w knowlegable bartenders or the person next to you. Good food, too. I've had a number of good experiences at the Session Room, so I assume this was an off-day. Food not up to par (some stale ingredients, some missed ingredients) and the service, while cheerful, was extremely inattentive, continuing so even after the lunch rush subsided. This place never disappoints, and the constantly changing tap list can't be beat. Too noisy for very many people, If you want to talk! Otherwise, a great place! Sessions is a wonderful addition to the west side of town. 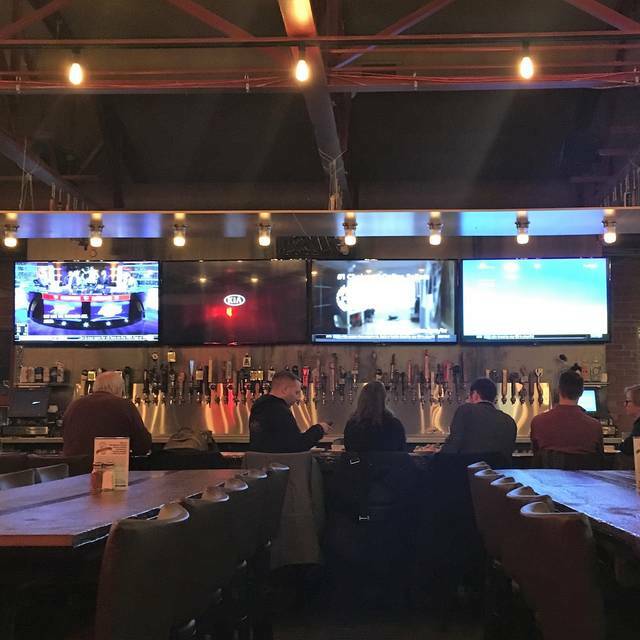 Large, open seating with lots of TV's for viewing your favorite sports team. We enjoy going on Saturday afternoons and watching college football. Wings and pizza are both very good. Has an energetic vibe, tall ceilings, brick walls with some communal tables and large booths. Definitely worth a try if you haven't been there. This is a great location for beer and bar food. Many TVs so we could easily watch UM football from all seats. Although there are guests in all age ranges I think of this venue as more for the family and less for the college student. The nachos with chicken are excellent. So are the salads and sandwiches. There are dozens and dozens of beers on tap but they also offer wine and cocktails. Parking is free. The restaurant is very noisy so not great for conversation. Two of us got burgers which were great. Two of us got entrees which were tasteless and overcooked. We told our waitress, when she came to clear the plates and saw that some of each entree was left, that they weren't good. She apologized but didn't bring the manager over and basically forgot about it. We'll never go back. There are too many great restaurants in Ann Arbor to try. We went to try something new. The beer selection was great. the nachos were very disappointing. the chips were on the edge of being stale or exposed to too much humidity. and they were broken up pretty small - like the broken pieces at the end of the bag. We ended up eating the nachos with forks since you could not really eat with your hands due to small pieces and the since the type of cheese applied did not hold the toppings together on the chips like a classic cheese would when heated. plus there was barely any cheese (it was a cold queso type cheese). We asked for more and the waitress did give us a good size amount in a bowl. This queso cheese was warm which made it taste better. the burger itself was good but i would really like to have french fries with my burger. I was told this was not a option since there is no fryer. I think the price of the burger is a little high for just coming with chips. One of our favorites. Food is always good, beer selection is outstanding, waitstaff is excellent. One of our go to places or an easy but interesting dinner and conversation. Food (ribs/special-of-the-day, spinach-artichoke dip, sandwiches, pumpkin cheesecake), wine/beer, service were great. Lively casual restaurant. 35 year old “birthday boy” in our group chose it & loved it. Oldest members of our group had some trouble hearing each other. Great for meeting up with friends or colleagues for drinks or a quick bite. love their thin crust gourmet pizzas...the guacamole dip app is to die for! Great craft beer selections here and tap takeovers! The Session Room was a nice option for an away game. Great beer list and good food, portions are smaller, but they have more creativity than some. Solid overall, just maybe you want to order a salad along with your sandwich type deal. Great times always. Wait staff is always friendly and helpful. Food is great and they have Pabst. What more could you ask for? 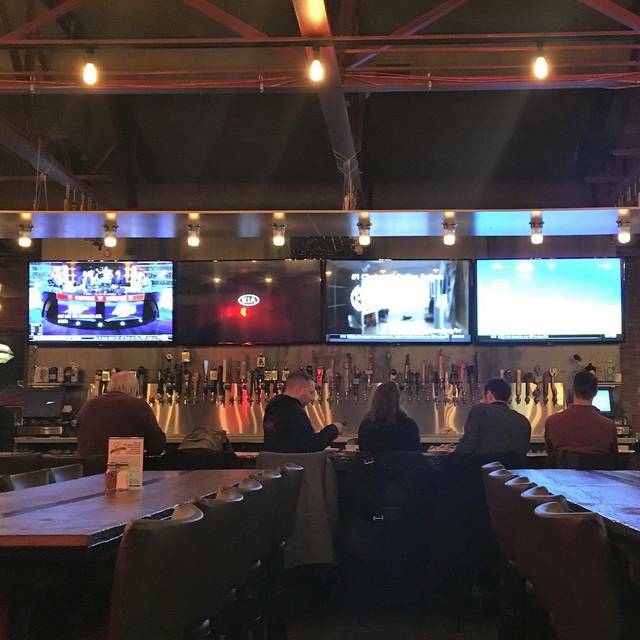 Mega-screen Sports restaurant with an amazing beer list. You need to try this place if for nothing else the beer and beer knowledgeable staff. Tasting options are aplenty. Fun menu with everything from great appetizers to nice dinners. Very good food where anyone can find a dish. Bartender was excellent. Helped me get a quick app for my starving teens while we waiting. Sat us 15 min early. Server was attentive. My only complaint is it took forever to get the food. It was busy but not busy enough to take 35-40 minutes to get our food at 8:45pm. We had a group of 7. Our food took a long time to arrive and when it did it was all cold. Beer was good. Service was late and coverage of our section was lost in a shift change. BUT the service eventually was assigned and did a great job. Beer selection is good (with good rotation of taps month to month. Food is a bit hit or miss. But the hits are great. Good atmosphere for a local brew pub. Good value. Definitely worth a try - it won’t disappoint. Excellent food and service. I did not give it five stars because the restaurant is too noisy to have an easy conversation. I even asked for a quiet table when I made the reservation. I won’t be going back with a large group, although for four people, they do have tables is less noisy parts of the restaurant. Great place as long as you like beer! Decent food; e.g. tasty BLT Salmon Sandwich and cheese pizza. No kids’ menu but you can improvise. Extremely loud (“energetic”) because of the acoustics - it is an old warehouse after all. If you’re a millennial or a genx-er Sessions is right up your alley. If you’re a baby boomer who’s not a huge beer fan? Not so much.